Beige, pink, sage green and pale mustard yellow printed paisley fabric by Swavelle Millcreek. 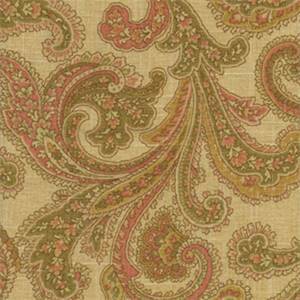 Ideal as drapery fabric, slipcover fabric, curtain fabric, pillow fabric, or bedding fabric. Suitable for many home decorating applications. Dry cleaning recommended. Scroll down page to view available coordinates.